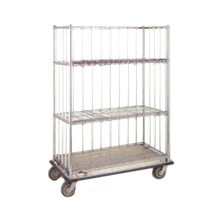 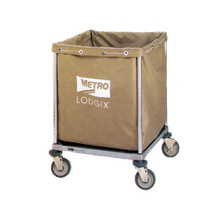 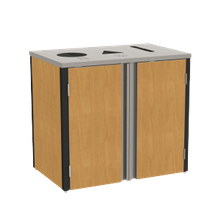 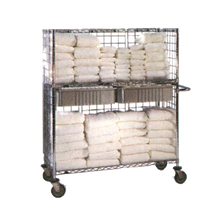 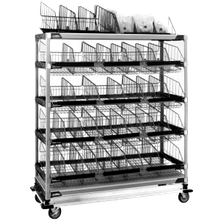 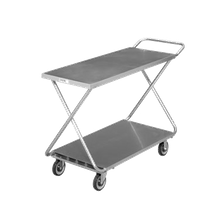 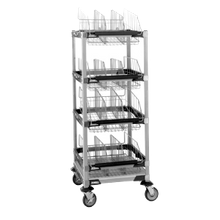 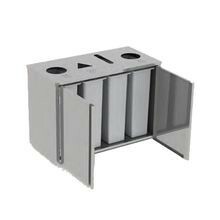 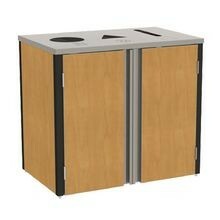 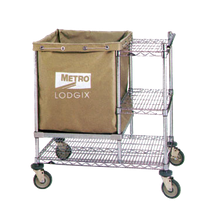 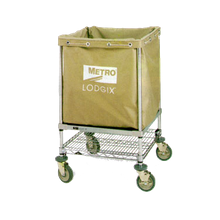 Janitorial Carts | Housekeeping Carts | Singer Equipment Co.
Metro MXIV4 MetroMax i Sloped Basket Cart, 42"W x 24"D x 60"H, (8) Microban epoxy baskets, includes: (16) dividers & (8) label holders, (4) 5"
Metro MXIV1 MetroMax i Sloped Basket Cart, 24"W x 24"D x 60"H, (4) Microban epoxy baskets, includes: (8) dividers & (4) label holders, (4) 5"
Metro MXIV6 MetroMax i Sloped Basket Cart, 60"W x 24"D x 60"H, (12) Microban epoxy baskets, includes: (24) dividers & (12) label holders, (4) 5"
Metro FLMB1 Mini Bar Restocking Cart, high profile, with (3) 6" drawers (1) 9" drawer, wastebasket (4) tilt-out bins (1) divider kit for 6"/9"
Lakeside 4310 Waste Station, 26-1/2"W x 23-1/4"D x 45-1/2"H, 35 gallon capacity, front access, (1) waste chute, 18 gauge stainless steel top with 4"
Lakeside 4410 Waste Station, 26-1/2"W x 23-1/4"D x 45-1/2"H, 35 gallon capacity, front access, (1) waste chute, 18 gauge stainless steel top 4"
Keep your cleaning supplies organized with a janitorial or housekeeping cart. 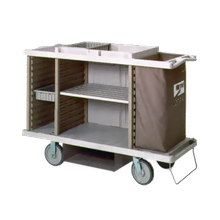 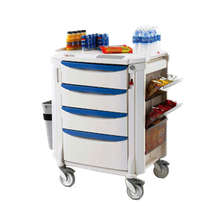 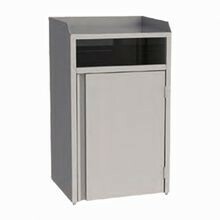 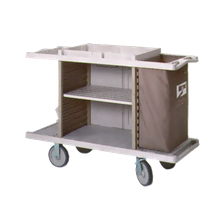 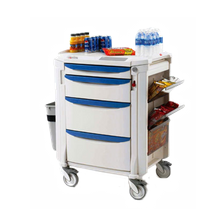 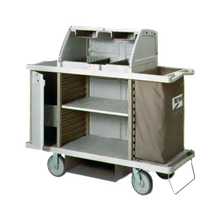 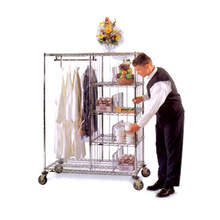 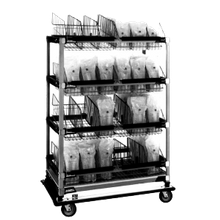 These carts hold and transport all your foodservice, healthcare and hospitality supplies. 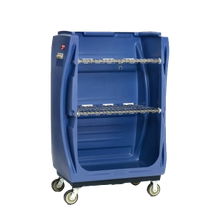 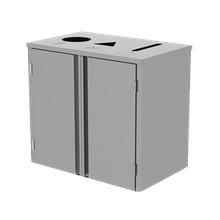 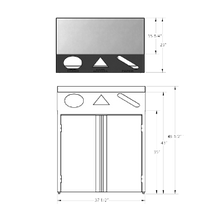 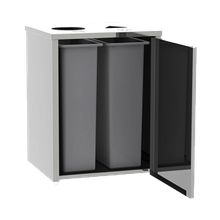 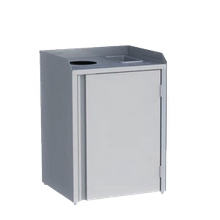 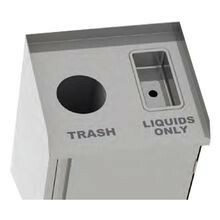 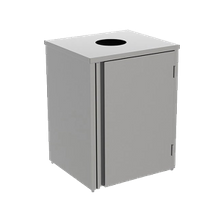 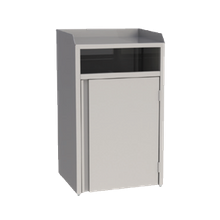 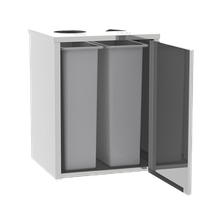 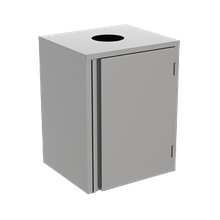 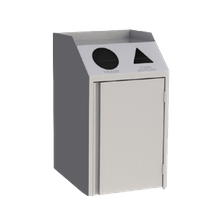 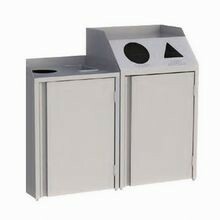 Ensure that your chemically-based cleaning supplies are stored separate from your fresh linens, keep garbage and other waste safely contained until disposed, and transport dirty, wet mops and buckets with our variety or janitorial and housekeeping carts.